We guarantee that you’ll be happy with our work. If you’re not happy, you don’t pay. That’s the HiFi way! 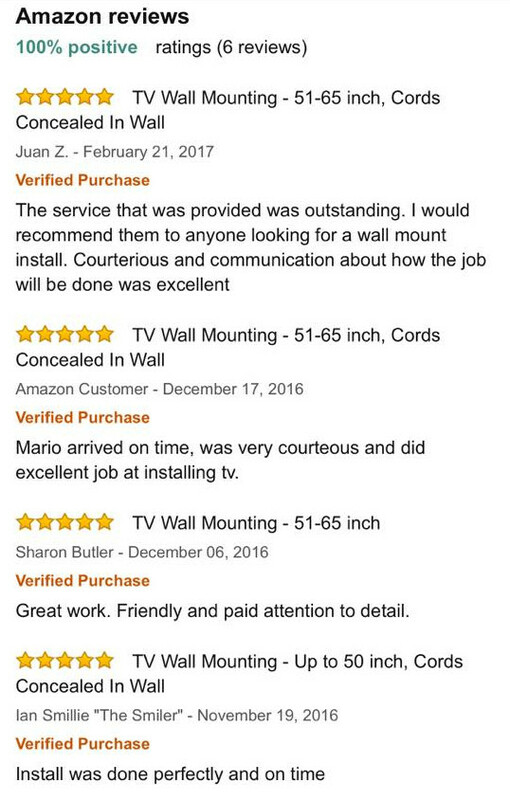 Check out some recent reviews from our happy customers! I live in Central New Jersey and called HiFi Guys to setup my home security cameras. They did the job quickly and courteously, and my new setup works great! I highly recommend them. Recently, we had a home surround system installed by the HiFI Guys, located in Jackson. They also hung several TVs for us. The installation was outstanding. Anthony Adamo, the owner of the company went through the entire installation process as well as recommending the best equipment for our house. His prices were very fair and were itemized down to the very smallest detail. If you are in the market for home theater systems, home security systems or just want your TV to be hung on the wall, call the HiFI Guys.